The criminal prosecution of Sholom Rubashkin, whose 27-year prison sentence was commuted by President Trump on the 8th day of Chanukah after Rubashkin had served 8 years and 8 days, was the most outrageous criminal prosecution I have witnessed in more than half a century of practicing law. Many who are pleased by the president’s act of clemency know only that the punishment imposed on Rubashkin by United States District Judge Linda Reade was excessive. Former attorneys general, high Department of Justice officials, senators, and congressmen signed or composed letters to former attorney general Eric Holder and to former president Barack Obama attacking the injustice of the sentence. Unprecedented measures were taken in the May 2008 immigration raid on AgriProcessors. It was common knowledge that most slaughterhouses and meat-packing plants in the United States were employing illegal aliens. When Immigration and Customs Enforcement (ICE) officials conducted raids on these operations before May 2008, the workers who had no legal documentation were arrested, and a lengthy criminal process against them began. In planning the raid on Rubashkin’s AgriProcessors plant in Postville, Iowa (described in internal ICE memos as the “kosher” meat plant), ICE management decided it would employ a totally new streamlined procedure under which illegal aliens would be detained near the plant, would be formally charged with defense lawyers assigned immediately, and would appear before a federal judge within a day or two for a plea and sentencing. Judge Reade Concealed Her Participation in the Raid from Rubashkin’s Trial Lawyers. In denying a request from an AgriProcessors employee that she recuse herself from his criminal case, Judge Reade did not disclose to him or to Rubashkin’s trial lawyers that she had participated in the planning of the raid. The Rubashkin defense learned of it only when ICE e-mails were disclosed in response to a freedom-of-information request after Rubashkin was sentenced. The chairman of the American Bar Association committee on revising the Code of Judicial Ethics and an NYU law professor who is the country’s leading academic expert on legal ethics submitted affidavits supporting the request for a new trial that I drafted for Rubashkin. They declared that Judge Reade and the prosecutors had violated federal standards governing recusal and had engaged in misconduct. In June 2016 the U.S. Supreme Court ruled that a brief routine approval of a death-penalty application by a prosecutor constitutionally required the prosecutor 26 years later – when he was the chief judge of the state supreme court – to recuse himself from review of the same defendant’s petition for habeas corpus. Under this principle Judge Reade was constitutionally disqualified from presiding at Rubashkin’s trial. The Iowa Federal Prosecutors Inflamed Public Opinion by Seizing AgriProcessors’ Files and having Rubashkin Arrested and Photographed in Handcuffs. Following the raid, AgriProcessors’ files were seized with a search warrant. To my knowledge no meat-packing plant owned by Swift & Co. (many of which were subjected to immigration raids) had its records seized. The prosecutors then pored over his records for several months while he and his family remained in the United States. Individuals being investigated for “white collar” offenses who are represented by local lawyers are invariably free during the prosecutors’ investigation. If they decide to charge criminal offenses, federal prosecutors call the lawyers and arrange a voluntary surrender so that the client can plead not guilty and begin the criminal process. Instead of following this neutral practice that preserves the constitutional presumption of innocence, the Iowa federal prosecutors sent out U.S. marshals with handcuffs to arrest Rubashkin. News photographers alerted by the prosecutors were at the courthouse to snap pictures of a handcuffed yarmulke-wearing Jew with a long black beard. The photo appeared in various media at the time of his arrest and in a New York Times story of November 12, 2009, when the jury returned its verdict. Rubashkin Was Denied Bail Because of Israel’s Law of Return. Rubashkin was arrested on October 30, 2008, on immigration-law violations, and the AgriProcessors plant was closed. He was released on posting a one-million-dollar bond and agreeing to wear an ankle bracelet that tracked his location. No such severe bail conditions were ever imposed on any other plant manager accused of employing illegal aliens. The federal prosecutors arrested him again 20 days later on bank-fraud charges and opposed his release on bail with the claim that, as a Jew, he could flee to Israel under the “Law of Return.” The U.S. Magistrate accepted this contention and denied bail. After a public outcry from national Jewish organizations, Judge Reade reversed the denial of bail. Rubashkin Was Charged With Bank Fraud Although He Did Not Cheat the Bank of a Single Penny. The charge that AgriProcessors had employed undocumented aliens carried a relatively light criminal penalty, so the prosecutors scoured the seized records to find proof of other offenses. AgriProcessors had never exceeded the 35-million-dollar line of credit it had with First Bank of St. Louis, but it falsely inflated its accounts receivable and bank balance in order to draw cash – within the line of credit – needed to operate the business. The bank collected interest on the cash drawn, and AgriProcessors regularly paid all the interest due on its loan. So the bank actually profited from this violation of the loan’s written terms. Alleging that Rubashkin had misrepresented to the bank that he was law-abiding when he was, in reality, employing undocumented aliens, the prosecutors arrested Rubashkin again on bank-fraud charges. An objective prosecutor would not have filed criminal charges on this specious allegation since the bank had not actually been cheated of any money. But the federal prosecutors in Iowa had other goals. State Prosecutors Unjustly Charged Rubashkin With 9,311 Violations of Child-Labor Laws, and He Was Acquitted After Trial on All Counts. Iowa state prosecutors joined the lynch mob by alleging in 9,311 misdemeanor counts that Rubashkin had knowingly hired minors. (Then-presidential candidate Obama gratuitously and ignorantly declared in a campaign stop that Rubashkin had employed minors and equipped them with cleavers.) Rubashkin denied guilt, retained local counsel Mark Weinhardt, and was acquitted on all the state counts on June 7, 2010. Federal Prosecutors Artificially Multiplied the Charges. The first indictment the federal prosecutors filed against Rubashkin charged him with three immigration-law violations. When bank fraud was first alleged, the total number of criminal counts increased to 12. Charges of money-laundering based on deposits of funds legally received by AgriProcessors in certain bank accounts were then added so that a seventh indictment returned in June 2009 ballooned the charges to 163 counts. The prosecutors even added 20 unprecedented counts under the Packers & Stockyards Act of 1921 because AgriProcessors was a few days late in paying a seller of livestock. The only possible reason to multiply counts in this way was to influence the jury into believing that Rubashkin was a monstrous law violater. Although the Trial Concerned Only Bank Fraud, Judge Reade Allowed the Jury To Hear Inflammatory Testimony of Immigration Violations. The bank-fraud charges went to trial first. The prosecutors said they would try the immigration-law violations afterward. Nonetheless, the prosecutors presented to the jury several days of lurid evidence regarding separate payroll records for illegal aliens and testimony about a covert meeting behind a barn. This evidence related only to the immigration charges that had been delayed for a supposed later trial. When the defense objected to admission of this evidence because it was not relevant to bank fraud, Judge Reade overruled their objections on the specious ground that the evidence demonstrated Rubashkin lied to the bank when he represented that he complied with all laws. The Prosecutors Prevented a Reasonably Priced Sale of AgriProcessors. Rubashkin’s company was sold by a bankruptcy trustee, and the purchase price affected the computation of the loss suffered by First Bank and the duration of any imprisonment to be imposed on Rubashkin under the Federal Sentencing Guidelines. To inflate the bank’s loss the prosecutors insured that few purchasers would be willing to buy the plant by imposing a “no Rubashkin rule” – i.e., threatening to forfeit the plant if a purchaser employed any member of the Rubashkin family in operation of the business. AgriProcessors was sold for an unreasonably low price, and Rubashkin’s sentence reached top levels in the Sentencing Guidelines computation. The Prosecutors Asked for Life Imprisonment, Reduced Their Request to 25 Years After Six Former Attorneys General and Seventeen Former Federal Prosecutors Protested; Judge Reade Added Two Years. When the prosecutors announced they would ask for a term of life imprisonment, six former United States attorneys general and seventeen former federal prosecutors signed a letter protesting that request as unreasonably severe punishment. The prosecutors then reduced their request to a 25-year sentence of imprisonment. Judge Reade added two years to the prosecutors’ request. I was retained after sentencing to be lead counsel for Rubashkin on appeal. Greater outrages were in store. The Court of Appeals Invited Judge Reade To Sit With Two of the Eighth Circuit Judges Who Were Assigned to, and Who Heard, the Rubashkin Appeal. With the assistance of able and dedicated co-counsel I wrote an appellate brief to overturn Rubashkin’s conviction. The brief attacked the ethics and integrity of Judge Reade. The Eighth Circuit scheduled the oral argument before three judges for the afternoon of June 15, 2011. Shortly before that date the court released publicly its formal argument calendar naming the three appellate judges who would hear the oral presentations and decide the appeal. It also released a public notification that District Judge Reade would be joining two of the three judges assigned to the Rubashkin case and would hear appeals together with them on the day before the Rubashkin argument and on the morning of the Rubashkin argument. Our defense team was confounded by this startling development which, we surmised, was deliberately arranged so that the two appeals judges could become acquainted with Judge Reade and form a favorable impression of her. We decided that filing a formal objection and seeking to disqualify the judges who were to hear the Rubashkin appeal would generate hostility from the court. If the conviction were then affirmed, our aggressive motion would be blamed for ruining Rubashkin’s appeal. I argued the case on the appointed afternoon in a courtroom filled with Rubashkin’s family and staunch supporters. To this day I consider my oral argument in the Rubashkin appeal the best I have ever made in any court, including the 28 oral arguments I have presented to the Supreme Court and the many oral arguments I have presented to every United States Court of Appeals. For weeks after the oral argument – until the court’s decision was rendered – I was complimented on my oral argument by people who had listened to the tape recording that was publicly available. The Court of Appeals Created a Unique Eighth Circuit Rule In Order To Affirm the Conviction. 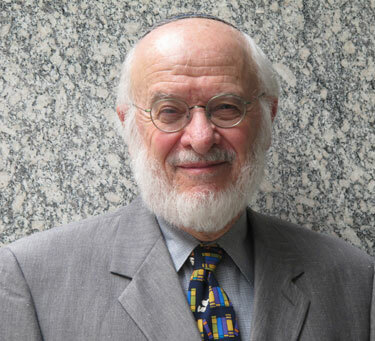 The Court of Appeals affirmed Rubashkin’s conviction because, it said, the Eighth Circuit has a unique rule that a motion for a new trial may be made only if the grounds are that new evidence will result in an acquittal. In all other federal circuits, a defendant may win a new trial if he shows after conviction that his trial was unfair. But not in the Eighth Circuit! The Department of Justice Surprisingly Opposed Supreme Court Review. I enlisted former solicitor general Paul Clement to become lead counsel in Rubashkin’s petition for review by the Supreme Court. The petition drafted by his office was supported by six friend-of-the-court briefs, including one written by Seth Waxman, my former partner who had been solicitor general in the Clinton Administration. Clement and I visited many Capitol Hill offices to request letters to Attorney General Eric Holder asking that the Department of Justice agree to Supreme Court review. We had a meeting with lawyers in the Office of the Solicitor General, and were surprised to discover that the Iowa prosecutors had been flown into Washington to attend the meeting. They stayed after we left to counter our arguments, and the Solicitor General opposed our request for review. The Supreme Court refused to hear the case, and the Rubashkin family retained new counsel and the support of pro bono attorneys like Gary Apfel to file post-conviction motions. Finally, after the election of President Trump came the fresh view in the White House that recognized the outrageousness of not only Rubashkin’s 27-year sentence but also of the entire process that resulted in his unjust imprisonment.